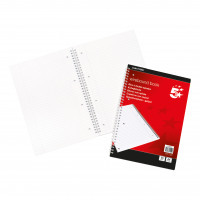 5 Star™ Office notebooks are great quality and available in a variety of sizes and formats to help meet all your needs. The range is perfect for everyday use. Peter | Don't fall apart with great quality paper inside.